ANADEE Digital Solutions are now official Digital Partners of NAREDCO HARYANA. 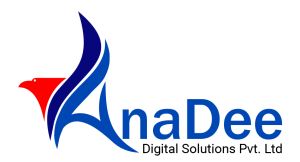 ANADEE is a Sister Concern Company of Instant Info Solutions working in the Area of Digital Promotions and Media Marketing for the Past 9 Years. ANADEE Excels in Digital Solutions, Digital Attendance & School ERP System. With NAREDCO HARYANA in Team, ANADEE will be Priveledged to work for the Nation.